Welcome to DRIFT. Sharing our favorite things—gifts, home accessories, and one-of-a-kind vintage and treasures. Custom beverage bucket tote made with repurposed sailcloth and custom recycled-cotton throw blanket for picnics, tailgates and sunsets anytime of year. Mermaid makeover kit: body lotion, roll-on perfume oil and nail polish in a beach-find bait bag. Insulated wine totes made in Massachusetts featuring the five towns that comprise lower Cape Cod. After the glow, this Cape Cod candle can be repurposed as a cocktail glass — say yes and cheers to new adventures! Buoy cutting and serving boards made from up-cycled Corian. 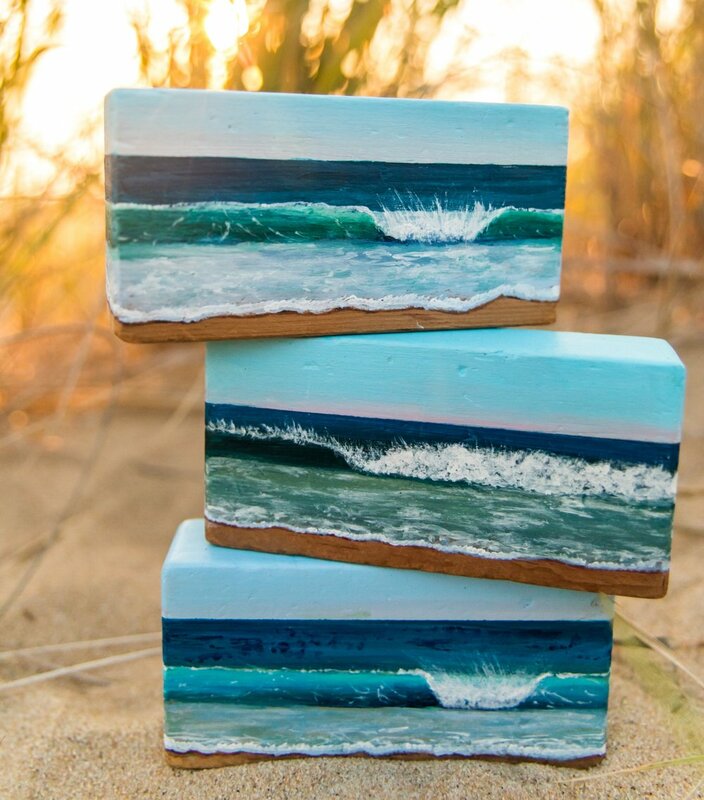 Wave paintings on vintage Playskool blocks by New England artist Carolyn Corrente. “Wellfleet Buoys” 12x18” fine art print by Cape Cod’s Keith MacLelland. The Barn at 355 Main St. & Holbrook Ave.